Beloved, myself, and Const had a late lunch or early dinner at Zaan Japanese Tea House. This was a month ago, when we went to Papa Diddi’s, and, yes, this is the “new place” I talked about in that review. We found this place in one of the popular review aggregators and noticed that it had favorable reviews. Since we wanted to try something new, especially around the Tomas Morato area, we decided to try it out, inviting Const along the way. The place was located at a building near Don Roces Ave. of Mother Ignacia street. It’s a bit of a sketchy place, especially if you’re commuting. Once you step inside, though, it feels like you’ve entered a different country. The ambiance reeked traditional Japanese, with tatami mats and decor matching a traditional Japanese household (this is based on anime/Japanese live action show experience as we’ve yet to visit Japan). There’s an area where you’re required to remove your footwear, but there’s also sit-down tables where you get to keep your shoes on. When Beloved and I arrived, Const was already there, enjoying their tea. He warned us that the place was about to close, as it’s only open up to 5pm on Sundays. 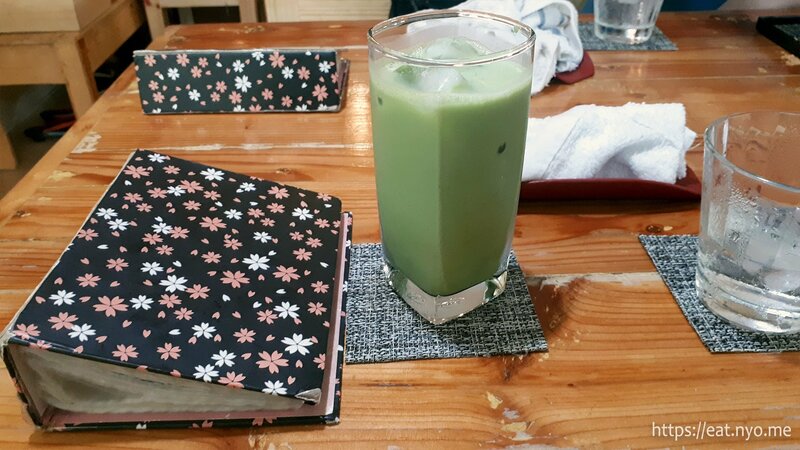 Their small menu featured Japanese teas and some dishes that goes well with tea, in a small clear-booklet. At the end, there’s a “secret menu” that piqued my interest. 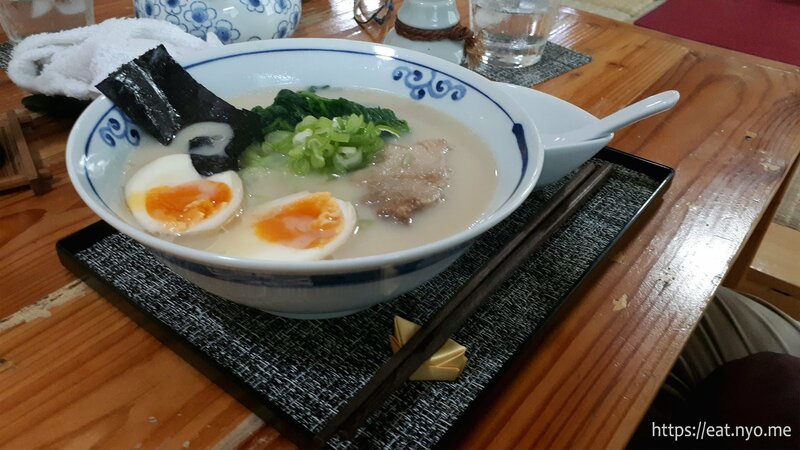 I got their Takashi Tonkotsu Ramen (250 Php), which is part of their secret menu, which I added on tamago or egg and chasyu or pork (+ 130 Php). Beloved got their Udon with Meat (220 Php) and Const ordered their Crystal Warabi Motchi (120 Php) as an addition to what he already had. Finally, Beloved also ordered their Matcha Latte (150 Php). Beloved’s Matcha Latte isn’t much different from other matcha lattes we’ve tried. It’s mildly sweet and milky with just enough matcha flavor. 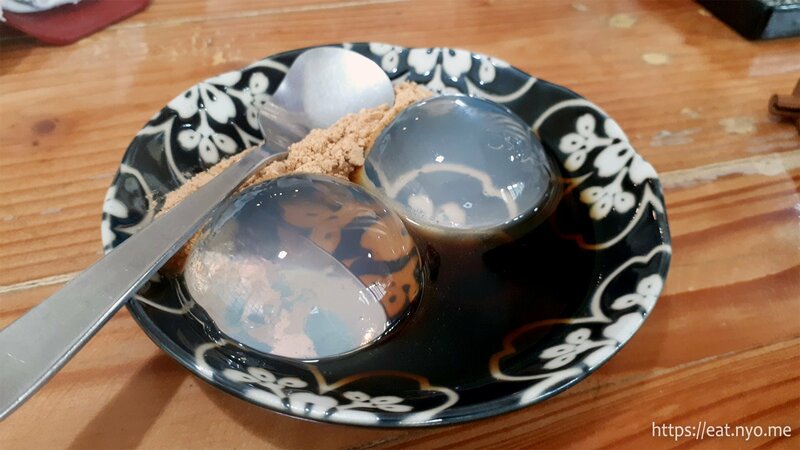 Const’s Crystal Warabi Mochi was an interesting dish. It looked quite… ahem… appealing, swimming in what looked like syrup and some sort of powder. The mochi itself tasted like nothing, and the syrup and powder it went with didn’t really add much, just a subtle sweetness. 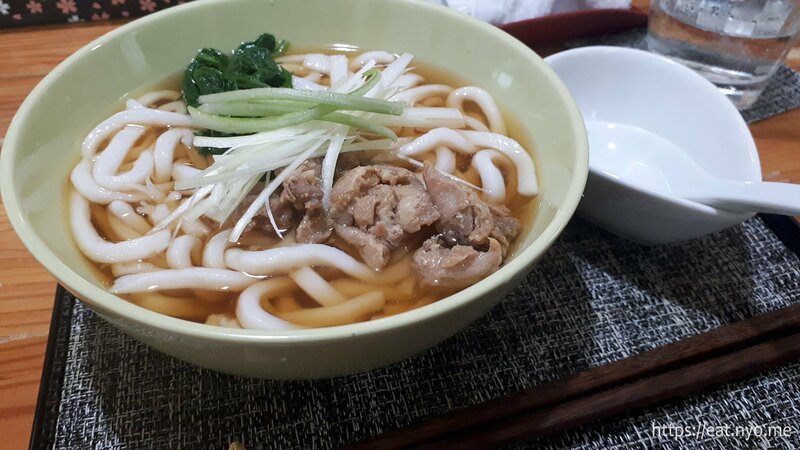 Beloved’s Udon with Meat was a cold dish of fat, chewy noodles with some simmered pork, spinach, and leeks, swimming in a mild, cold soy broth. I could tell Beloved enjoyed this dish a lot. She says it was quite refreshing. The white broth of their Takashi Tonkotsu Ramen excited me, as it’s a sign of a broth that I’d enjoy. I was mildly disappointed yet at the same time relieved to find out that it’s not the Ippudo broth that I fancy the most. Instead, it reminded me of Ramen Kuroda’s broth (which reminds me, I need to revisit/review) which had a bit of a milky taste, except this one a bit on the salty side. The noodles were wavy and a bit on the chewy side. There’s also the chasyu, which was a bit on the lean side, spinach, which I liked, and eggs, which were quite nicely soft-boiled, with both whites and yolk still runny. While not the best ramen I’ve had, it gets a pass from me. Now, the reason this review was quite late was because we won a promo wherein if you get an “88” as the last two digits in your receipt, you get 200 Php off your next visit here. Weeks pass, and the only time we managed to come back was a couple of weeks ago to take advantage of this offer. Sadly, Const wasn’t available this time around. Beloved and I went and noticed their menu changed. It no longer had the “secret” menu, and their ramen was now included in their now modern-looking menu. Since we had 200 Php off, we decided to try out their appetizers—Agedashi Tofu and Spinach Salad, 100 Php each, as our freebie. Next, I got their Zaru Soba, plain (250 Php) and Beloved got their Oyakodon, double (260 Php) with Miso Soup (50 Php) added-on. 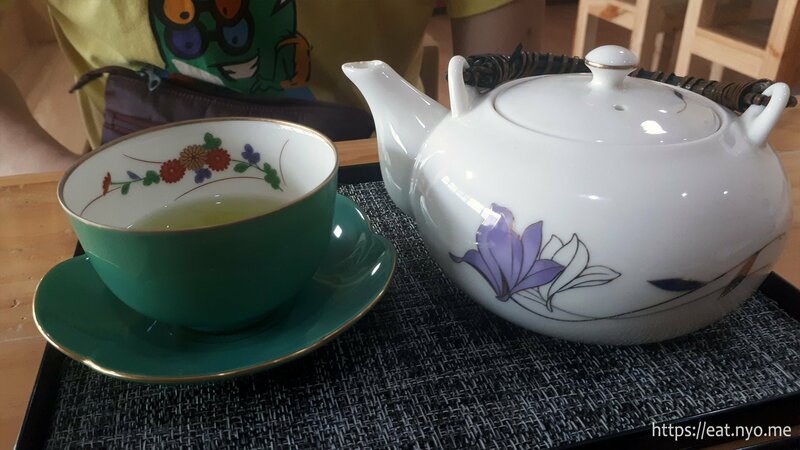 For our drinks, I got their Genmaicha Teapot (80 Php). Finally, Beloved got their Zaan’s Matcha + Azuki Kakigori (250 Php) for dessert. Their appetizers arrived first, and was quite interesting. Their Spinach Salad didn’t have much to taste, as I was expecting something much more flavorful, comparing to sigeumchi namul or Korean spinach banchan which has a stronger sesame-garlic flavor. This was much more mild tasting. 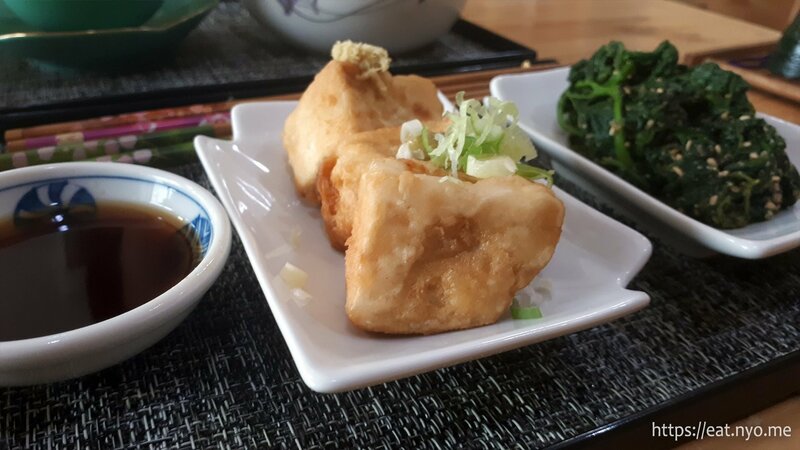 Now, their Agedashi Tofu might be one of the better ones I’ve tried. It had a nice crisp exterior and soft interior, as expected, with the mild soy sauce that went well with the tofu. Their Genmaicha Teapot is the best pot of genmaicha I’ve gotten from Japanese places. It had the roasted rice flavor I enjoy with this tea variant and was hot enough to be refreshing, but not scalding. It’s also greener than browner from what I’m used to, indicating there’s quite a bit of matcha in here, although, really, the taste was definitely of roasted rice. There’s also quite a lot here, surprisingly, and good enough to share. 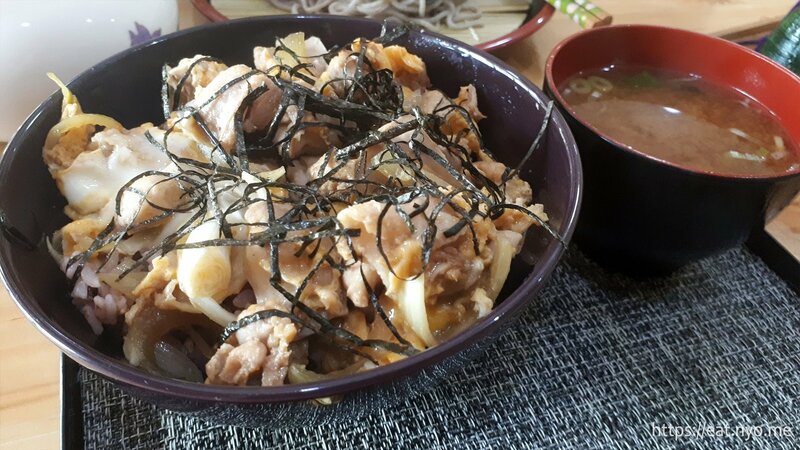 As for our main meals, Beloved’s Oyakodon had a lot of egg-covered chicken strips over a lot of black rice. The rice was quite hefty, and Beloved only managed to finish three-quarters of the bowl, which I happily finished off for her. Beloved says this was a nice comfort food for her. 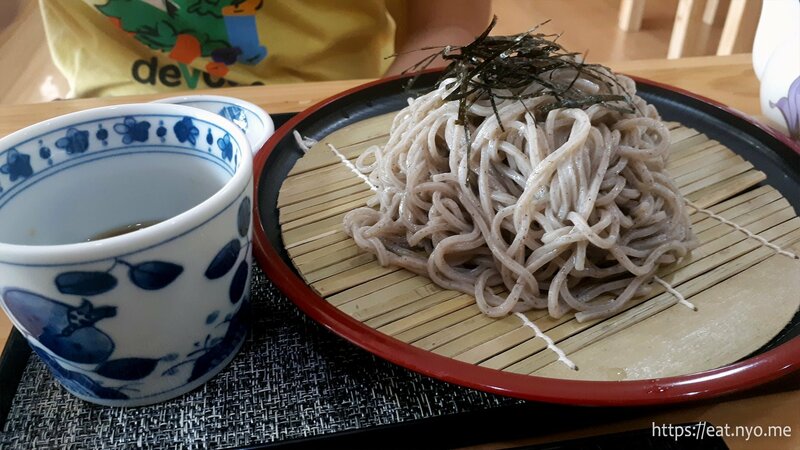 My Zaru Soba wasn’t as plenty quantity-wise, but was decent enough. The chewy cold noodles went well with the mild, refreshing sauce. It had a zing since I mixed in most of the authentic wasabi that it had—yes, the yellow kind which was not as lingeringly hot as the green alternative. Similar to their udon, there’s not much here taste-wise, or even quantity-wise, but was definitely a refreshing treat. Finally, their Matcha + Azuki Kakigori was quite different from the ice treat we’ve been accustomed to. 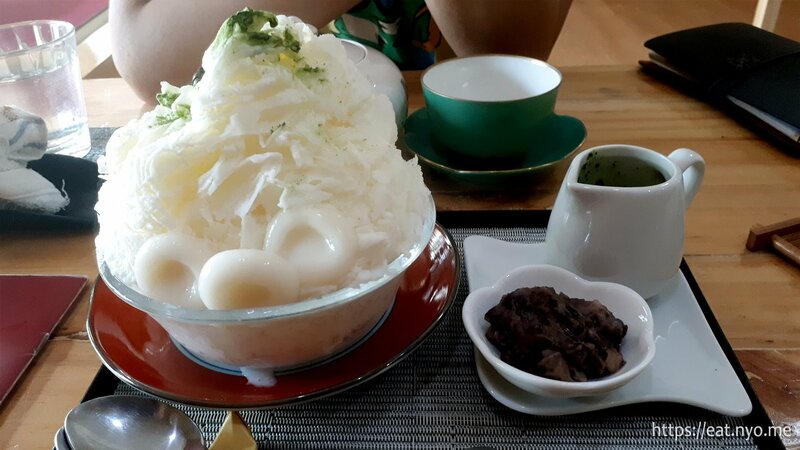 The matcha syrup and azuki or red bean paste was served separate from the mountain of shaved ice and milk with mochi and a small sprinkling of matcha powder. Pouring the green tea syrup was a bit challenging, but rewarding, making this not-too-sweet and quite milky treat a fulfilling end to our meal. Overall, it’s a pleasantly refreshing experience. Yes, those two words are definitely the best phrase to describe the place: pleasant, refreshing. It felt like a traditional Japanese experience using locally-available ingredients. Most of their food was mild-tasting, letting your palate rest and get refreshed, perhaps deliberately in order for you to enjoy their main specialty—their teas. Now that Kozui might have closed down, I can see myself frequenting Zaan for my genmaicha fix, along with a light meal. 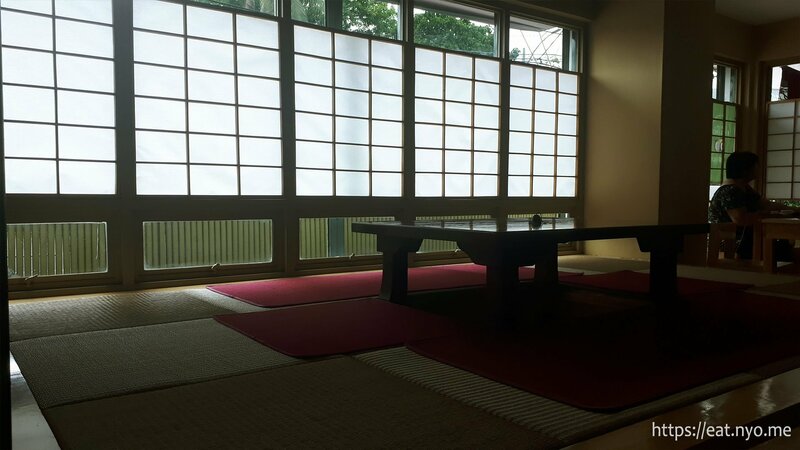 Also, they offer a traditional tea ceremony experience for groups of three or more. While we probably won’t take advantage of this, I think it’s one that might interest some of our other readers. Now that we’ve tried it twice, we clearly understand why Zaan gets high praise from other reviews, and it’s definitely got the same from us. Location: Norfil Foundation Building, Mother Ignacia, near Don A. Roces Ave. Recommended for: Japanese food lovers. Not recommended for: Strong tasting food expecters. Smart nomnomnom tip: They close early on Sundays, so plan accordingly; take advantage of their 60-php teapot refills for larger groups.